No one sets out to ‘break’ well-thought-out New Year’s resolutions. But what if we told you we have a different perspective on some of the most common New Year goals that might actually improve them, and ultimately make 2019 a year you won’t forget? You’re enjoying a life many people envy: existing on the road less traveled, experiencing new things in your home-on-wheels every day. Improve this lifestyle by simply…enjoying it! Breathe in what this country, and others, have to offer! Get out there, and do what you set out to when you decided on this full-time or weekend adventure lifestyle! 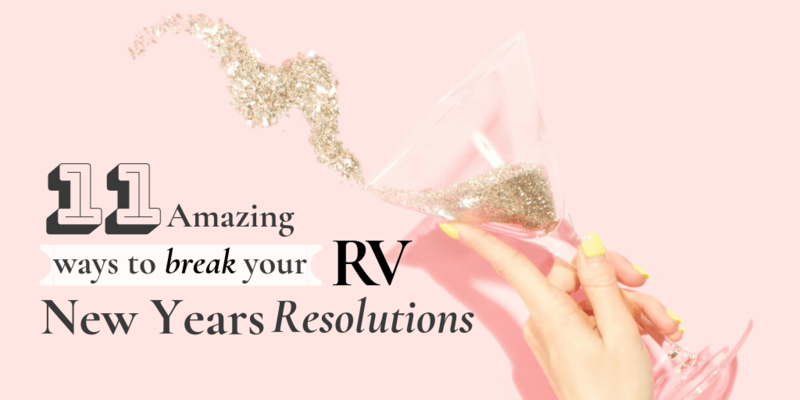 Below are 11 changes you can make to reinvent your RV new years resolutions and truly live a wonderful life in 2019. We get it. Too much sugar is a dangerous spiral that no one wants to go down. But why deprive yourself of life’s greatest pleasures if means sacrificing the most delicious parts of North America? This new year experience the most delectable regional flavors by enjoying some sugary treats every now and again. In Louisville, Kentucky you can enjoy some of the most diverse ice cream flavors made in the US. The Comfy Cow Sundae Challenge doesn’t exactly scream moderation, but it definitely delivers on delicious confections. Think 15 scoops of ice cream with every topping under the sun, or snowstorm, plus four different sides. You can’t mention culturally relevant desserts without mentioning the world-famous beignets in New Orleans, Louisiana. Café du Monde has been around since 1862 cooking up these mouth-watering French-style doughnuts covered in fresh powdered sugar. So enjoy the sweetest part of life on the road and indulge in America’s greatest treats this year. If you think of RVing, it’s likely you start thinking about the gorgeous National Parks or breathtaking monuments you can visit. But what about some of the uncommon architecture and attractions riddled throughout the states? Save a few bucks on material items you don’t need (see Tip #11), and spend on the memories you’ll make at some of these unique man-made features across the country. You won’t be able to see these sites anywhere else in the world, (okay, we admit, the Parthenon replica may be better seen in Greece) so you might as well spend a dollar or two and soak up these bizarre spots around the country while en route to your final destination. The Parthenon Replica in Nashville, Tennessee is a full-scale replica of its Athenian original, open for viewing Tuesday – Sunday. A former shoe factory coined City Museum sits in St. Louis, Missouri and houses one-of-a-kind architectural creations made from reclaimed building materials. You won’t want to miss this! Don’t neglect the Cabazon Dinosaurs in Palm Springs, California during your travels! 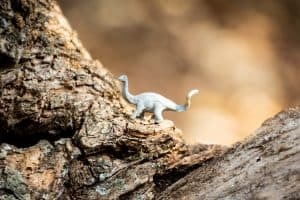 This iconic roadside attraction has over 50 life-size dinos to see, and even a T-Rex you can climb inside! There’s nothing wrong with being social and making new friends while you’re sightseeing in your home-on-wheels. 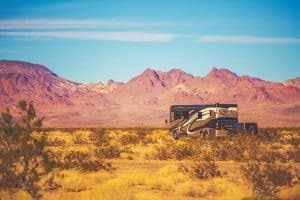 However, if you tend to stick to RV parks and populated areas, it may be time to branch out and go where you’ve never gone before. If you’ve never tried boondocking, or dry camping, 2019 is your perfect opportunity! Disconnect from the online world for a bit and reconnect with nature. A great option for a boondocking adventure would be Valley of the Gods in Utah. This spot sits between the towns of Bluff and Mexican Hat along HWY 16, boasts wide open spaces, not to mention easy RV access. Enjoy a fiery sunrise in pure tranquility, or an evening staring up at the twinkling stars without a neighbor’s motorhome lights interrupting the view. Gaze upon the magnificent red dirt roads contrasting the blue skies as you drive through the uncharted mini Monument Valley and experience the serenity of boondocking with the simple company of you and your rig. If you’re attempting boondocking for the first time in 2019, follow these five tips for a successful voyage! We’re not condoning overindulgence, but navigating your rig means regions with some of the world’s best wines, like Napa Valley, might end up right in your backyard! Even if a winery tour isn’t in the cards for 2019, it’s hard to beat views of the sun setting behind lush rolling hills and rows of grapevines seen at some of the locations found on Harvest Hosts. With this service, you’ll be able to connect to private vineyard owners who allow overnight campers to come and enjoy the views (and maybe some wines!). Pay a small annual fee for this membership and access an entire directory of potential hosts at amazing vineyards and more. 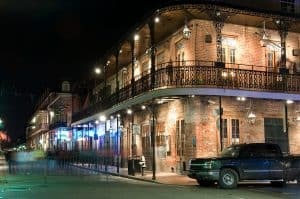 If you’re more of a beer connoisseur, add some of these popular U.S. beer stops to your RV route. We spend our lives searching for the next best thing and constant entertainment for our busy minds. Have you ever just stopped to smell the roses and extended your trip another day? Maybe you weren’t able to see the entirety of an incredible national park or you really enjoyed your neighbors at a campground. In 2019, slow down and be present in the amazing moments of motorhome adventures. Take an extra day (or two!) and explore all there is to see in Moab. This city exhibits two stunning national parks – Arches and Canyonlands. An unparalleled formation of rocks developed through the ages stack on top of one another to form Canyonland. Well-maintained roads allow easy navigation through the park to come across overlooks and trailheads that show off 537 miles of proud landscapes standing tall. A short 5 miles away is Arches National park boasting 2,000 rock arches and windows to the world. These easy-to-drive roads allow for exploration of all the main attractions around this park, including a view of the Colorado River. If you’re really looking to take in all the sites across Moab, take a peek at the Natural Bridges National Monument, Mesa Verde National Park, and Capitol Reef National Park. All within a day’s drive of Arches and Canyonlands. 2019 is a good time to slow down – and experience life in a way you’ve never done before. Stay an extra day, or a few, and see what it feels like to adventure when you’re not constantly on the move and headed to your next destination! Sleep is king, it revitalizes us and keeps us feeling good. But why not skip a few hours of shut-eye for fabulous Las Vegas? Spend a weekend at the only RV Park on the Las Vegas strip – Circus Circus RV Park and take a wander to see the Bellagio Fountains, see a show, and enjoy the warm weather. Although you won’t be getting much of the Nevada nature on this weekend of fun, there’s nothing quite like the glitz and glam of Vegas. Don’t worry, you can sleep at your next site! When you’re living the dream, why keep the amazing sites and trips to yourself? Encourage your family and friends to join this incredible community, and share the lifestyle that you’ve worked so hard to create for yourself! 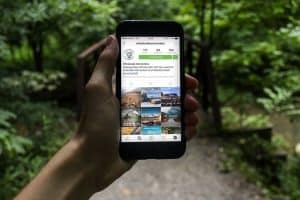 Take a quick Instagram at the Franconia Sculpture Park in Shafer, Minnesota, which is free and open to the public. Here you’ll find 43 acres of large-scale sculptures that are especially photogenic, created by artists from all over the world. If you’re more of a nature buff, head to Lake Louise where the water is just as blue as it is placid. It’s difficult to find a body of water that compares to the magnitude of beauty found here. Inspire your friends to take a trip up north this year with photos of your awe-inspiring journey. Stranger danger isn’t always applicable with a community as great as the RV one. Branch out, join forums and Facebook groups, or even membership programs like Escapees! Head to a meetup or an RV expo and meet other like-minded individuals this year. While these events can be quite busy, they’re a great way to meet fellow RVers to keep in touch with during your travels. Use 2019 to harness your social calendar and make the most of this wonderful community! It’s no secret that each region in the U.S. boasts different flavors to tantalize your traveling taste buds. From the spicy southwestern food to the comforts of southern fare, you can’t go wrong with some of these mouth-watering dishes. If you find yourself adventuring through the Southwest, you can’t leave the area without munching on a Green Chile Cheeseburger. Take it one step further in New Mexico and complete the Green Chile Cheeseburger Trail. This route dawns some of the restaurants that gained instant fame when Bobby Flay visited back in 2009. Continuing east to the true South, you’ll enjoy some of the rich flavors that drip with genuine American cultures like gumbo, fried chicken, and barbecue. Memphis has been coined as rib town – and you’ll get just that at Central BBQ in Tennessee. Make sure to stop for some of the local fares on your way through the southern region. Although reading is a great way to spark intellectual growth, heading outside can improve overall health, while creating unmatched memories. Plus, you can always bring your book with you, and take in a few chapters in the great outdoors. Collecting some good old Vitamin D in mother nature can stimulate some incredible effects, so take a hike, explore the outdoors, climb that rock, and swim in that lake! You have your RV to go where you can’t in your sticks-and-bricks home, so use it! Need some help planning your trip to a National Park? 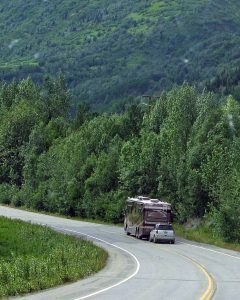 Check out this article especially made for RV travels through these areas. Fashions fade, and living minimally, or at least adopting a few habits, can make living on the road more manageable. By removing excess daily distractions, you’ll have more time to focus on what matters – relationships with self, family, nature, pets, etc. You’ll have all of the opportunity with less of the noise to do more of what means a lot to you. Start by getting rid of the clothes you haven’t worn in the past year, or even the past month, and watch life in your trailer become simpler and more focused. What takes up extra space in your living quarters that just doesn’t serve you anymore, and how can you make simple changes to benefit your overall lifestyle? Take 2019 to reflect on what piqued your interest in RV traveling, and try and emulate that every day. You could say you’re breaking your 2019 resolutions with these tips, but we prefer to say you’re enhancing them! Enjoy the time you’ve worked hard for and reinvigorate your RV adventures this year.